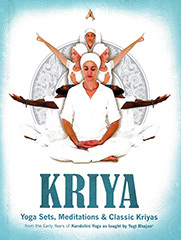 This wonderful manual, Kriya, comprises many of the early kriyas and meditations taught by Yogi Bhajan back in the 1970’s – a time when Kundalini Yoga was still very new to the West and when students flocked from near and far to hear the revolutionary teachings and participate in the life-changing classes taught by the great Yogi. Kundalini Yoga has an oral tradition dating back thousands of years. The first students of Yogi Bhajan took notes, made drawings and passed them on to others – the first time that this sacred science had ever been recorded and distributed in this way. It had never in all history been done this way before. 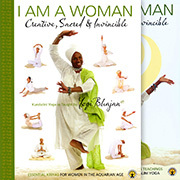 Early pioneers Guru Rattana PhD with her best selling illustrated manuals, Transitions to a Heart Centered World, Relax & Renew and Sexuality & Spirituality, and Gurucharan Singh with his Sadhana Guidelines, led the way. These books were revelations, with so many new kriyas and meditations to practice. Many practiced them all, such was their thirst for this new knowledge. This new publication fills in many of the gaps, with a whole bunch of new material, and other material formerly published in the Intermediate Manual. Some of the models used are children of some of the original student-teachers inspired by Yogi Bhajan. You will find enjoyment in this manual and find many of the challenging kriyas and over 100 meditations uplifting.